Remember to measure your pet for the paw-fect fit. Your sporty pooch will be ready to hit the track when she puts on ADIDOG Dog Tracksuit. From the fiercest competitor to the biggest couch potato, your furry friend will stay warm while looking cool in this super-soft cotton polyester blend. With a large screen-print logo on the back modeled after the popular sports apparel brand of a very similar name, this classic tracksuit features ribbed cuffs for a snug, comfortable fit and simple snap button closure. Featuring a wide range of colors and sizes especially catered to your large breed dog, this fang-tastically fashionable suit is sure to be a winner! Available in seven colors and a variety of sizes that cater to dogs of all sizes. Wicked kool tracksuit, yo! Great quality! My little guy looks smooth az LL Cool J! <3 Only a little big, and I measured him with a soft measuring tape, trying to be as accurate as possible, so make sure you measure your little pooch well and follow the size chart, but I'm thinking they may run kinda large, but still looks great and it is soft inside just like your favorite human sweater! Awesome! Looks great, feels great! Ordered this in a size XS and S to make sure the tracksuit grows with my pup. It is warm enough for those chilly nights, especially since he will be having a summer cut soon! Super cute, and he doesn't mind wearing it at all. My Phoebe absolutely loves her tracksuit. She is a lab/doberman/pitbull so it can be hard to find clothes that fit her due to her body shape. I had to get a 7x because her chest girth is so big. Because of that, the outfit is a little too long. Nothing a sewing machine can't fix. I love the way my baby looked in her track suit. It was a little snug and she only wore it a few times. I ordered a pink and black one. I got her a medium. I wish I would have gotten her a larger size. I was to lazy to send it back. My loss. Will definitely order a larger size in the future. I loved it. Great Fit & Quality. Exactly like the picture! We purchased this for our 1 year old Basenji, Congo. He is around 22 pounds. His chest is 20 inches and back is 18 inches. We got him a 2XL. It fits him great. Basenji’s have long legs, long slim bodies and a long neck..So nothing fits them perfectly. But this size is the perfect size. Will order in more colors. Great quality as well. Super cute!! Sizing is a little weird so definitely go larger! I have a 115lb German Shepherd who is pretty tall (top of his back is 30in above the ground) and I just got the biggest size possible after reading the reviews and it’s a little tight but we made it work! He usually wears an XL or XXL but I got him an 8X and it’s still a little tight so definitely get a bigger size! Glad I read the reviews! 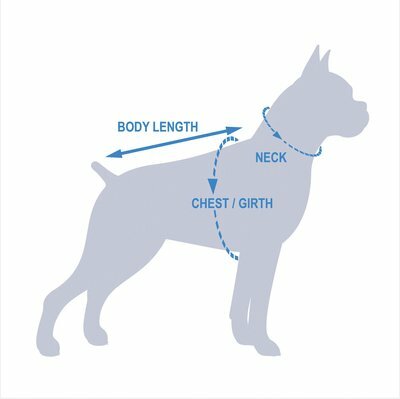 I listened and measured my Chiweenie before ordering. She is long so it’s already hard to find clothes that fit her. She also has really long legs ha. So for her she doesn’t have the problem with the back legs of the pants coming off but if your dog has shorter legs this may be a problem. She is 9 lbs, long and skinny and I got her a medium even tho her measurements are for a large. But it is adorable! I love it. Both my pups got their workout suits today and they are styling! I used the sizing guide and got a perfect fit for my pooches. An xl for my 15 lb, semi barrel chested little guy and a 5x for my 40lb princess. Surprisingly easy to put on...even the leg part! And best of all, the seemed to tolerate them quite well during their walk....peeing and pooing cleanly and with ease!